A federal prosecutor has formally charged Argentine President Cristina Fernández de Kirchner, Foreign Minister Héctor Timerman, and a number of other high-ranking officials of working to remove Iranian terrorists from Interpol’s wanted list in exchange for preferential economic treatment from the Islamic Republic. Prosecutor Gerardo Pollicita filed a complaint in the nation’s federal courts demanding an investigation into Fernández de Kirchner’s alleged work to protect the orchestrators of the 1994 bombing of the Argentine Israeli Mutual Society (AMIA), the deadliest terrorist attack in Argentina’s history, killing 85 people. The complaint, should the presiding judge not dismiss it, would require a deeper investigation into the President’s role in investigating the attack, as well as put in motion an impeachment process against all those accused who are currently in the executive government. The news comes almost one month after prosecutor Alberto Nisman was found dead of a gunshot to the head the day before he was to present a nearly 300-page report accusing Fernández de Kirchner, Timerman, and others in the executive government of protecting the orchestrators of the AMIA bombing in exchange for favorable oil prices in trade with Iran. In addition to Nisman’s report, law enforcement officers found a draft arrest warrant, apparently written by Nisman before his death, for Fernández de Kirchner and Timerman. As both enjoy executive immunity, the arrest warrant would not have had a practical effect; neither can be arrested. Instead, the warrant would have triggered the beginnings of the impeachment process that Pollicita’s complaint has now begun. As it was found in Nisman’s refuse, the prosecutor appears to have thought the better of calling for the arrest of the President. The President’s party currently holds a majority in both chambers of the legislature, which must vote to impeach the President in order for her to be stripped of her executive immunity. 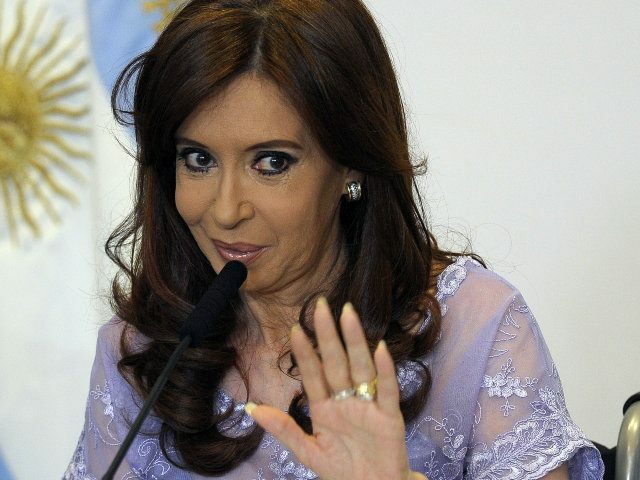 While Fernández de Kirchner and her cabinet enjoy immunity now, her presidential term is scheduled to end in December. As Bloomberg News notes, Fernández de Kirchner would have to run for federal-level office and win in order to retain her immunity in the investigation beyond December. The Fernández de Kirchner camp has responded by denying all involvement in the AMIA case, just as it has denied involvement in Nisman’s death. Cabinet Chief Jorge Capitanich declared Pollicita’s complaint “a vulgar lie” and part of “an enormous media operation” to stage “the biggest judicial coup d’etat in the history of Argentina,” accusing those furthering the investigation of working for those truly responsible for the AMIA bombing. The President herself, meanwhile, has not spoken publicly about the complaint at all, despite making a public statement and issuing remarks at a public event in the town of El Calafate this weekend.